The Apostle Luke is known for writing two big books in the New Testament: the Gospel According to Luke and the Acts of the Apostles (52 chapters in all). He was a native of Antioch in Syria, and exercised the medical profession during the time of Claudius (42 A.D.) when he met the Apostle Paul. After returning to the Lord Jesus Christ he preached the Gospel in Greece and reposed at the age of 84 as a "diligent servant of Christ", according to an ancient prologue of Luke. In the present article we will examine the personality of Luke in light of his medical background. He was the beloved personal physician of the Apostle Paul (Col. 4:14) and accompanied him not only on his travels overseas, but also during the difficult times of their imprisonment (Philem. 24; 2 Tim. 4:11). The Greek physician Luke, the only non-Jewish writer of the New Testament, had a multifaceted and multidimensional personality. 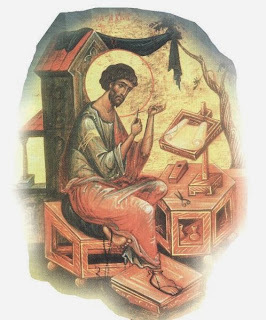 Whoever carefully studies the works he sent to the mighty Theophilos (Lk. 1; Acts 1), is impressed by his historical accuracy, his excellent use of the Greek language, and the plasticity with which he writes the life of Jesus and the "birth" and spreading of the Church, particularly focusing on the work of the Apostle Paul, whom he closely "followed until his martyrdom". The two most beautiful parables - the Good Samaritan (Lk. 10:30-37) and the Prodigal Son (Lk. 15:11-32) - come from the pen of the Greek physician Luke. From the literary point of view he has rightly been classified among the leading historians of the Hellenistic period. Besides his writing ability the physician Luke also had a talent for painting. Icons which he drew himself survive, according to ecclesiastical tradition, until today. From these icons the researcher can understand that the physician Luke was not a cold anatomist of the human body, but a sensitive artist, a receiver of the messages of nature, an admirer of color and diversity emitted from the world and the universe, a venerator of true Beauty, which according to Dostoevsky, will save the world. Besides his authorship and artistry the physician Luke was very sensitive regarding man and his problems. It is striking that he is the only Evangelist who deals so much in his Gospel with social problems (Lk. 4:18). An object of interest is poor Lazarus (Lk. 16:20-25), the marginalized woman due to the nature of her physical and psychological problems (which were experienced at the time of Christ) (Lk. 8:43), children (Lk. 18:16, 17), prostitutes and publicans (Lk. 5:29 ff. ; 19:1-10). In contrast, an object of sharp criticism are those who are insensitive to human suffering, like the rich (Lk. 6:20; 12:13-21) and the complacent and snobbish Pharisees. The sensitivity to nature and to his fellow men explains the third major gift of Luke: his sensitivity towards God. Due to this love and the quest for the discovery of supreme Wisdom, which created the complex and harmonious universe, and especially the most symmetrical body, the physician Luke did not hesitate, perhaps at the expense of his professional career, to risk the danger of going on an odyssey, accompanying the Apostle Paul overseas on dangerous voyages. His own work is characterized by a continuous voyage for the proclamation of the "way of salvation" (Act. 16:17). We can approach the multi-dimensional personality of Luke only if we understand what the role of the physician was before the time of the physician and apostle Luke. In Plato's dialogue Charmides Socrates admires the beautiful and the beauty of the young Charmides, and he tries to find out if this beauty is accompanied by a corresponding spiritual cultivation. The same young Charmides explains to Socrates that he is suffering from strong headaches. Socrates, taking occasion by this fact, puts forward to those with whom he is conversing what medical treatment is most excellent. It is impossible, according to Socrates, to heal someone with a sickness of the eyes, without considering the general situation of the head. And it is also impossible to cure any ailment of the head, without examining the entire body. It is also impossible to heal any illness of the body, without diagnosing the suffering of the soul! Then Socrates says that the Thracian physicians applied this overall diagnosis, while the Greeks failed to diagnose and properly treat human disease, because they focused on the partial rather than the total. Socrates concludes that when the soul, through friendly and nice words, is warmed and healed, then the entire body together with the suffering organ of the body are healed. Any medical instrument and drug (such as a specific leaf advised by the Thracian physicians to be applied to the forehead when a patient suffers from headaches) if not accompanied by dialogue, from a therapeutic discussion, does not bring any effect whatsoever. As seen from this dialogue of Plato, an object of interest and the attention of the physician in ancient times was not only to examine the symptoms of a certain dysfunction of an organ or area of the human body, but the malfunctioning of the whole man. The Cartesian division of body and soul, man and nature, conscious and unconscious, was absent from the logic of ancient medicine. The disease and suffering of a bodily organ was the symptom of a deeper relaxation of the harmony of body and soul, man and nature, microcosm and macrocosm, creation and God. That's why in medical treatment natural products were used in combination with either personal dialogue as applied Empedocles (492-432 BC) or music, as reflected in the myth of Orpheus and applied by the Pythagoreans. It is precisely this global harmony that those contemporary to Luke, the physicians of Asclepius, were trying to achieve, bringing patients to the Holy of Holies in the Temples of Epidaurus or Pergamum, in an area that was part of heaven and Paradise on earth, so that through dreams and the symbolic (mainly through the serpent) appearance of the god it would restore the impaired unity of themselves with the god and be healed. It really is worth a closer investigation how paralysis, blindness and sterility were cured, as they took place at the Temples of Epidaurus and Pergamon and reflected in the thanksgiving offerings of patients, which were brought to light by the ancient Greek shovel. Long before Viktor Frankl recorded that the primary cause of neurosis in adults is the lack of religiosity, the ancient people equated the Holy of Holies with the place of the treatment of disease, and they discovered the root cause of human disease. With the information above the interest of Luke with nature, man and God can be understood. E.Lienk-Danzig writes characteristically: "Paracelsus claimed that the physician comes from God. A division of power, which made ​​heaven and earth, animals and plants exist within the medical profession. We doctors are deacons and servants of life... To examine and heal is a creative act, even though the medical establishment (or better re-establishment) is a relative and not absolute divine work, because the physician is and remains a person. However to create one must have continuous clean hands and a pure heart." "The physician," notes Drewerman "is essentially a priest, a mediator and intermediary of human life and indeed in this life of God, Who is the giver and the source of life. But the priest is also a physician as a carrier of true life and faith/trust that can inspire towards God to restore the disturbed equilibrium of man to God and himself and therefore heal. The distinction of physician and priest is distinguished in modern times and is followed by the distinction of body and soul, subject and object, thought (reason) and emotion, conscious and unconscious. Medicine became lifeless and pastorship otherworldly." It is a fact that modern medicine is trying to discover the mental/soul aspects of disease, as E.Lienk-Danzig notes again: "The new rediscovery and recognition of the 'soul' factor has been a heavy burden in medicine for many years. Without this factor things would honestly be more comfortable. The appearance of this factor is sure to shake much conclusive data in science." Since healings by Jesus Christ are described by the Evangelist Luke, I will not deal with the "miracle" factor and the huge problems that arise with it, nor the "supernatural" factor that played a major role in the healings done by Jesus Christ, but only to elements of "applied" medicine. First, there exists a personal relationship between the healer and the one being healed. Usually treatment precedes a dialogue in which the patient feels real love and interest from the Lord. In this way there develops a personal and direct relationship, which leads to the development of faith/trust of the patient before the face of the Lord. This element causes special interest today where the physician is altogether lost behind the multitude of diagnostic equipment and other medical machines, thus creating an impersonal and professional relationship with his patient client, who instead of receiving at some point a real life-giving word or advice from their healing physician, they receive a recipe made of some chemical compounds capable of sedation or even partial cure of the diseased organ, but not the ability to provide comprehensive and total treatment. Second, the physician Luke insists on treating not only the body, but also the soul. The Lord, Who is "the physician of soul and body" (Epistle of Ignatius to the Epheisans 7:12), did not aim towards a psychoanalysis that shreds people into even more pieces, but towards psychosynthesis, which is provided by finding a reference center, located not in the distant universe, not in human reason, but in God and the heart, since God resides in the heart. The "soul" factor, which was rediscovered recently by medical science, and its treatment, according to Luke and the entire theology of the Orthodox Church, which centered its attention through her Fathers not on metaphysics and philosophy, but on treating the heart of its passions and its nous of thoughts, is current. Honor the physician with the honor due him, according to your need of him, for the Lord created him; for healing comes from the Most High, and he will receive a gift from the king. The skill of the physician lifts up his head, and in the presence of great men he is admired. The Lord created medicines from the earth, and a sensible man will not despise them. Was not water made sweet with a tree in order that his power might be known? And he gave skill to men that he might be glorified in his marvelous works. By them he heals and takes away pain; the pharmacist makes of them a compound. His works will never be finished; and from him health is upon the face of the earth. That which I think shocked the physician Luke by the Lord Jesus Christ and made him become an initiate into the new teachings of Christianity, was not only the radiance of the Divine-human face of the Lord, but also the interest, love and tenderness shown by Christ to each of His patients that He healed. That the Lord did not use magic sayings and recipes, as it was done in those days, but it reached the point where God Himself physically touched the sick (many times they even bore communicable diseases), in order to lift human pain and restore health not only to the body, but the entire person. The small approach described above of Luke as a physician, perhaps will contribute to the detailed approach to his person and work, especially by physicians so that medicine and theology can find the missing link that connected them for so many centuries. Source: Ekklesiastiki Paremvasi, "Ο Απόστολος Λουκάς ως ιατρός και θεραπευτής: Ιατρική και θρησκεία", October 2000. Translated By John Sanidopoulos.